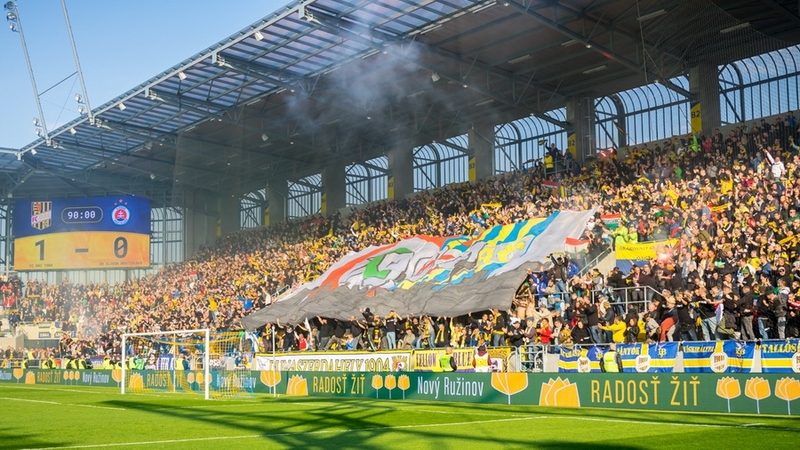 Having finished phase 1 of construction works on a new arena, FC DAC 1904 football club has prepared several unique technological innovations for its fans. First of all, it has the largest LED Full HD screen in Slovakia, offering more than 75 m2 of screen with an extraordinary combination of attractive graphic design and interesting content. The LED screen was provided by the official technological partner of the club, ColosseoEAS, a world-renowned supplier of multimedia technology that takes advantage of its technological parameters to give fans more fun together with more emotion, thus intensifying an unrepeatable experience at the stadium. 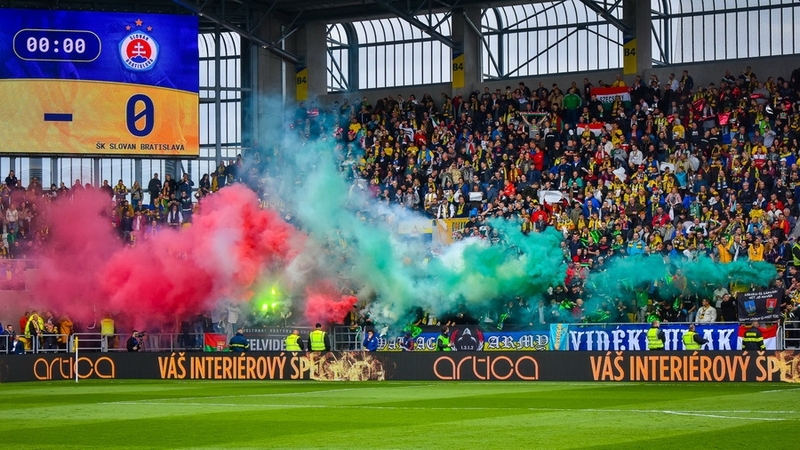 Since the spring season of the Fortuna league, FC DAC 1904 has, for the convenience of its commercial partners and sponsors of the club, implemented a new display format as part of the Colosseo system to enable the presentation of commercial content: digital perimeters. The total of 260m of digital LED panels around the football field gives the current as well as future partners a brand-new dimension of communication, better visibility at the stadium and, therefore, also a more efficient media reach. "After the arena is finished, we are planning to expand the Colosseo system with another LED screen, adding some interesting gadgets, such as live streaming on LED screens, mobile Wi-Fi cameras with live shots from the stadium as well as the backstage of the arena, an IPTV system for the broadcasting of exclusive content, replaying attractive match moments and situations, match statistics, displaying "birthday people", Kiss Cam, and much more" said Karol Pecze, marketing manager of FC DAC 1904. 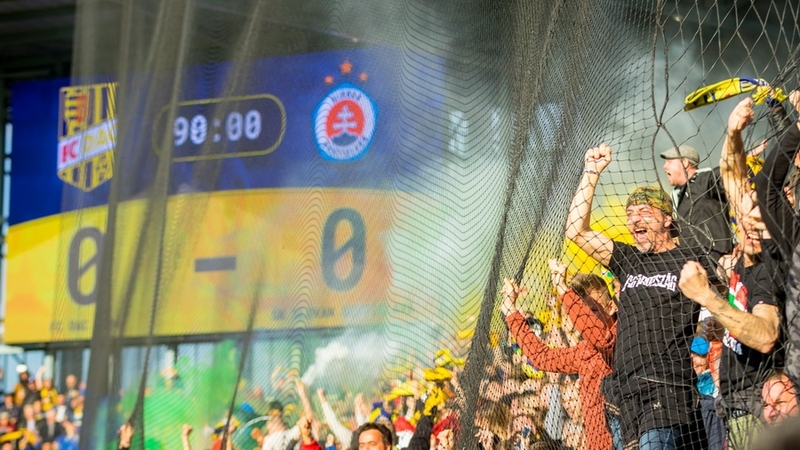 The aim of FC DAC 1904 is to offer all fans at the arena not only a sports experience, but also even more entertainment with the same level of technological comfort as can be found at other great stadiums in Europe and around the world. After it will have been finished, DAC Arena will rank among stadiums with the most advanced technologies installed by Colosseo, such as Verizon Center in Washington, DC, Allianz Park in London, AccorHotels Arena-Bercy in Paris or VTB Ice Palace in Moscow. "We are glad to make progress also in the field of technology. The Colosseo system gives us great possibilities to make the fans´ experience even more colourful while, at the same time, increasing the value of cooperation with our partners" said Karol Pecze.